New Zealanders are now spoilt for choice when it comes to picking an electricity retailer, with 47 different electricity brands supplying homes. Depending on which part of the country you live, you can have a choice of between 14 and 34 different retailers. 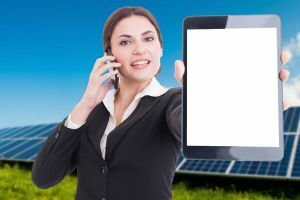 To take advantage of the hot electricity retail market, more customers than ever are shopping around and switching providers. Around 22% of consumers will switch power providers this year, according to the Electricity Authority’s acting chief executive, Rory Blundell. That’s more than 400,000 customers nationwide. As many as 55% of households will review their electricity deal, with a large number deciding not to switch. But while shopping around and switching can be the best way for customers to get a better deal on their electricity price, the power is not all in the hands of the customer – with more than 100 complaints about switching being made in the last year. Utilities Disputes – the free complaint resolution service for electricity and gas customers – says about 5% of all its complaints relate to switching. Problems include unexpected fees for breaking the contract, unexpected re-connection charges and high back-bills, says Utilities Disputes commissioner Nanette Moreau. Break-up fees from old electricity providers is one of the biggest sources of complaints when it comes to switching. A number of power companies will apply break-up fees, or termination fees, when fixed-term customers leave before the term of their contract is up. With some brands, the termination fee only applies if short notice is given. Will there be any charges for breaking my contract? What are the break-up fees? How much notice do I need to give to avoid termination fees? Is there any cost for my final meter reading? to switch electricity retailers. A break-up fee may not necessarily need to stop a switch, if the new provider is offering a good enough deal to cover the cost. 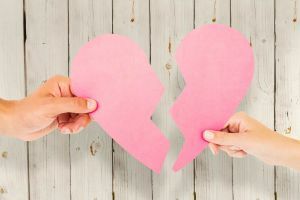 While break-up fees and early termination fees can sting the pocket, neither are quite as shocking as a back-bill, which can run into the thousands of dollars. While these reasons may not be the fault of the customer, they can still be liable to pay for any power used. In Australia, back-billing can apply only for nine months and in the UK the limit is 12 months. However, in New Zealand, there is no time limit, with some back bills covering years of incorrect billing. 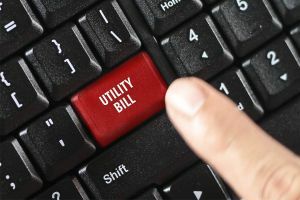 This means that back bills can run into the thousands of dollars, with Utilities Disputes fielding complaints of back bills as high as $18,000. Back bills may not come to light until a customer decides to switch companies. Utilities Disputes has a process to help customers facing high back bills if needed. A competitive retail market means power companies are keen to hang on to their existing customers and ‘avoid the switch’. If you are considering switching electricity retailers, why not ask your current provider if they can offer you a better deal? There is no harm in asking if you are considering switching anyway. 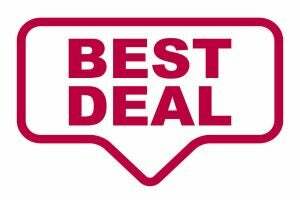 If your current provider does come to the party with a better deal, you can compare this with the offerings of other retailers before making a final decision. There are a number of different ways to compare the prices offered by electricity retailers in New Zealand, either through comparison sites or direct through the retailer. In most cases, you will need to provide your address and details from your current power bill. However, the price of power is not the only thing you should judge an electricity retailer on. Canstar Blue’s annual Electricity Providers Most Satisfied Customers survey shows value for money is not the only thing that provides overall satisfaction. Customer service, bill clarity, advice, plan range and environmental sustainability are also very important to consumers. It is also important to ensure you are on the right plan for your household, whether you are a large family, a retired couple or renting your home. Being on the right plan for your power usage can save you plenty of money in the long-run. You know what the break-up fees will be if you decide to switch again. Once you have made the decision of the best power company and plan for your home’s needs, the final switching process is relatively easy. Most retailers will complete the process for you, for free, if you are switching to them, including telling your old power company. There will need to be a final meter reading with your old power company and a final bill, which will include any termination fees. On average, it takes three to four days for the switch to take place.